It is easy for me to fall back into my oldies groove (1970s) and include something I regularly listen to for Music Monday, but will purposely deviate just a little bit … but a very little bit. Jackson Browne spans the ages and is always on my list, so it is pretty easy to add the title song from the 1993 I’m Alive album. Generally this was a time in my life that I didn’t really listen to much music. 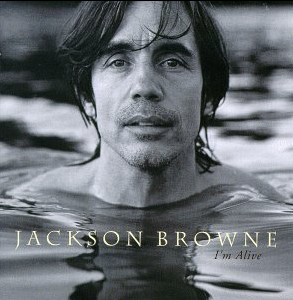 To be honest, Jackson Browne’s music from 1980s included some of his frustrated politics and too much of that pushed a few of his listeners away. Thankfully he was able to bring most fans back in the 1990s as he included a bit more romance in his songs. I’m Alive seemed to me to be that return. Of course it didn’t hurt that also on this album was one of my favorites!